Do we really need to train on this new software? How to insert training and development into project rollouts. We don’t need to train on the system. The system is intuitive, everyone will know how to use it. If they want to learn about the system, they can YouTube it. Have you ever heard this from project teams as they implement a new software or process? Why is training always the last one to hear about a new project? In my previous position working as a software project manager, I listened to many project teams doubt the fact that anyone needed to be trained. I heard those above statements many times, and I’m sure you have too. Together, let’s figure out some ways to insert training and development into project rollouts so that everyone has a good experience. 1. How can you overcome that thinking? 2. How can training and development teams slide their expertise into projects? 3. When is the proper time to insert training into the project meetings? Michelle grew up in lakes country in Minnesota, helping her parents run their restaurant/bar/small resort. She attended Concordia College where she majored in German, Russian, Education, and Business and started out her professional career as a high school German teacher. 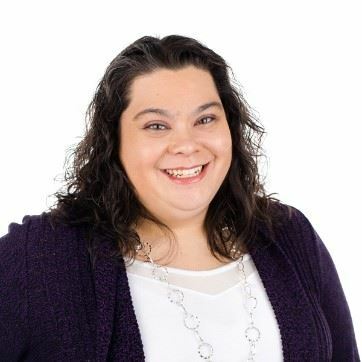 She completed her Master’s of Science – Curriculum & Instruction: Technology Integration from Grand Canyon University, and after nine years, she moved on from teaching. From there, she entered into the hospitality industry at TMI Hospitality, starting at a front desk of a hotel and ending as a Software Project Manager, while also doing many other jobs within the company. Currently she works on maintaining the LMS at Wanzek Construction, and working closely with other teams to improve their learning experiences.